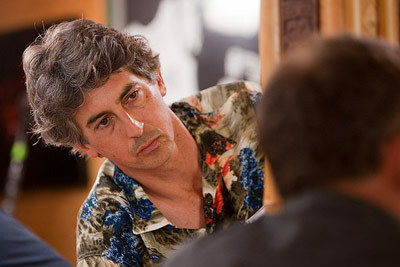 Alexander Payne has had a hiatus for seven years now. His last film before this one was Sideways, which was a hit with critics and audiences alike. It certainly didn't take Alexander seven years to make The Descendants. During that period, I'm not sure what happened to him. Well enough about the director, since you're here to read the review for this film in itself. 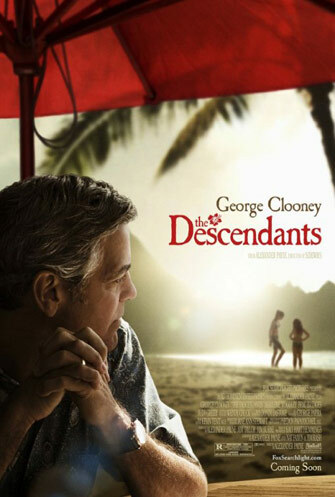 The Descendants, which is based on a pretty unknown novel of the same name, is about a man named Matt King trying to re-connect his family. That all changes when he finds out that his wife, who was supposedly injured and in a coma in a boating accident, was really cheating on him. I don't want to spoil much more than that so you can enjoy this film if you go see it. I saw this at the Telluride Film Festival and was blown away. It is better than Sideways, and excellent comedy-drama. Oscars? Absolutely. It is easily one of the years best films, and a major Oscar contender. George Clooney and Shailene Woodley's roles are outstanding. I encourage you to see this film in November. It truly is a wonderful film.